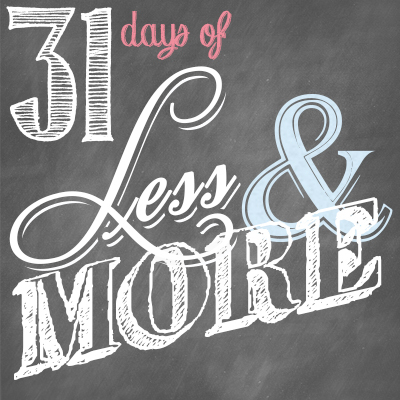 This is Day 17 of our 31 Days of Less & More challenge. To read all the posts in order, start with Day 1, then visit the Overview Page to see the entire series. I don’t know how it works for you, but the busier (and hungrier) I get, the more apt I am to spend without thinking. When I get caught up in the treadmill mode, where life is moving fast and there is so much to do, my fallback mode to choose convenience over thriftiness. One evening a few weeks ago, for example, I had to take the girls to dance class while Chuck attended a committee meeting at church. Their class ran from 5-6pm, and since we had been busy trying to get homework done beforehand, we hadn’t had a moment to think about dinner. To make matters worse, we couldn’t go straight home because we had to stop at the music store (located in the opposite direction, no less) to pick up the required textbook for violin class at school. The girls were starving, and truthfully I was too. Not wanting to fill their bellies with fast food (which would’ve been cheaper), and knowing that Chuck wasn’t at home to complain, I impulsively opted to stop at Panera Bread. Twenty-two dollars later, I was no longer hungry but I was suddenly filled with regret. Would it really have killed me just to wait until we got home? While I wish I could say it was an isolated incident, the truth is that moments like those still happen to me far more often than I would like to admit. Even so, I can say that I am a lot slightly less impulsive when it comes to spending than I used to be. Sticking to a cash budget. 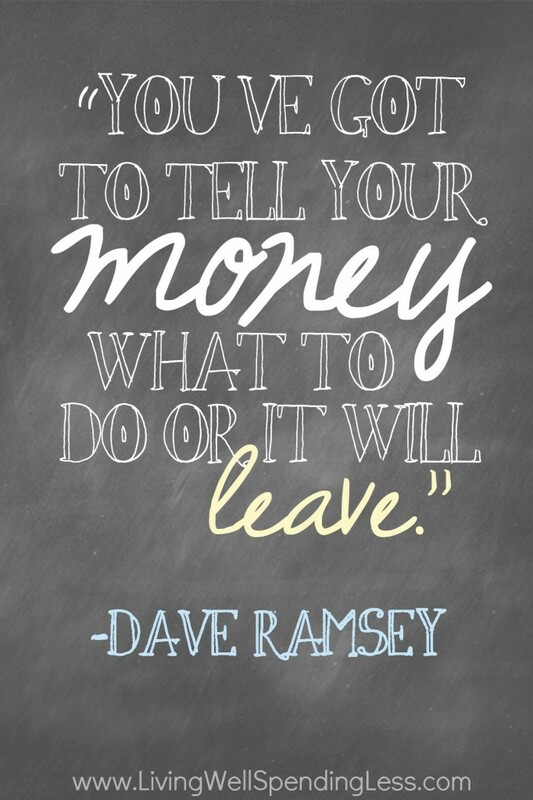 Dave Ramsey, author of Total Money Makeover (a must read! ), calls this telling your money where to go. I call it keeping temptation to a minimum. Regardless of what you want to call it, taking the time to actively plan your budget, then set aside specific cash amounts for your various categories forces you to really think about what you are spending. There is no getting around it: Paying cash feels real. Planning ahead. What’s the old saying? An ounce of prevention is worth a pound of cure? One of the best ways to avoid last minute spending faux pas by anticipating your needs in advance, then having things prepared “just in case.” Looking back, keeping an emergency kit of snacks, toiletries, wipes, & extra clothing in the car could’ve saved me $22. Writing it down. While some expenses simply can’t be avoided, committing to keeping track of them can help temper the urge to spend more than you have to. For me, knowing that my husband can see what I’ve spent always makes me think twice! Implementing the 24 hour rule. I have been a faithful Amazon Prime member for more than five years now, but there have been many times where that one-click ordering and free two day shipping is just way too convenient. I’ve barely thought of something I’d like to buy and it is already on its way. While I still love Amazon, these days I’ve forced myself to abide by a mandatory 24-hour waiting period rule. I’m pretty sure it has saved me hundreds! Sometimes all you need is a little time for the urge to pass. Be sure to read Edie’s corresponding post, More Passionate Living. Now, identify an activity or hobby you are passionate about, but that you may have given up because of time, circumstances, or money. Is there a way to incorporate that passion back into your life somehow? Start today, then inspire others by sharing your story in the comments below or on Facebook! Are you a mindless spender? Got any tips or advice to share? Such great reminders. Being out on the run when hungry hits is a terrible thing. We have many times popped into a restaurant and been filled with regret. So often the food is mediocre and too expensive. My son is seriously going to have to learn about mindless spending!! I can sooooooooo relate to that situation! I feel like that is me at least 3 times a week. It is nice to know I am not the only one! Thanks for the great tips. This series is hitting me hard. I’m so glad you are enjoying the series Janelle! Love your site and yes, I have to say that I HATE to spend money when I am out and about and feel so much better if I can wait to get home and eat! These days its cash only and when its gone, its gone! Tonight I am going home and cooking from the pantry. Might be potatoes and eggs, but its at home and them money stays in the pocketbook! For other things! Cash is such a powerful budgeting tool! My husband and I have definitely found that cash works best for us as well! I have not read Mr. Ramsey’s book. But I was divorced two years ago. My ex-husband is a physician, and spends his money before it gets there. There was never any savings, and this made me a wreck. Now I’m alone and poor. But much more content. I use cash and don’t have credit cards. GREAT article and the author is right, Dave Ramsey is a must-read AND a must follow through on the advice. I too am a significantly reformed impulse spender. If we do go and start filling the cart, we do a final “add up/put back/do we really want to spend this” check in with each other BEFORE we check out and usually half or sometimes all of it goes back on the shelf! We are die-hard Dave Ramsey-ites, with a written budget, cash envelopes, a debt repayment plan that has brought us to having only 1 car left to pay off. No credit cards (paid off/closed all 12), 2 vehicles we own, and a reasonable mortgage. We sure do sleep better at night and enjoy having a much more open relationship now that we plan our future together. Just do it. Dave Ramsey changed our lives and our budget too! Sounds like you are on the right track!